It seems like a lot of people find it very easy to badmouth agencies, or the concept of “the agency.” I am not really sure why this is. I suppose enough people have had enough bad experiences that it has kind of morphed into an acceptable view of things. Maybe it’s misdirected fury at the “advertising game,” which makes many feel squeamish. Anyway, pretty much on a daily basis I find myself defending agencies. It makes me mad. Just like with any group of people, there are agencies that are bad. They give bad advice. They cut and run. They don’t listen. They are irresponsible with money and or information. But let me tell you a little bit about our agency. Because when you say you don’t like agencies, you’re saying you don’t like where I work. You’re saying you don’t like what I and my family sacrifice many things and much time for. I think you should know what you are really talking about. Our agency can be trusted with any information. Our clients know that they can send us any information and it will not leave our office walls. Our agency requires authorization to do anything on our clients’ behalf. We do this so that there is never any question about how we are using our clients’ investment in us. Our agency puts our heart and soul into spec work, knowing that at times it might result in a new relationship, while at other times the work may go elsewhere. Our agency cares about our clients as people. We mourn with them. We celebrate with them. We are human beings. Our agency builds relationships with vendors so that we can provide the most holistic services possible, creating a “one stop shop” for our clients. Our agency never rests on our laurels. We don’t call ourselves “the experts” or “the gurus.” Rather, we are always learning, and we are always trying to pass on what we learn so that it can most benefit our clients. Our agency believes that service, good service, comes first. When you say, “I’m not a fan of agencies” or “Oh, stupid agencies,” you are talking about our agency, too. There are probably many other agencies who, like us, believe that this is a service business where the customer’s trust is a treasure and where the customer’s success is the only thing that can make an agency successful. I am proud of what I do. I am proud of the quality that our agency has come to represent for close to sixty years now. I am proud of my family for making that happen. Do some agencies deserve a bad rap? I’m sure they do. But if you can’t narrow it down to specifics, I’d ask you to pause before painting with a big broad brush of bashing. Absolute perfection. I felt your words and that is powerful. As an agency gal myself, we do get a bad rap because there are some that do not perform to the expectations of the client. The categorization that all agencies are bad is a bad one and one that should be discussed as you have here. The negativity that surrounds is incredible. It is like we are all money hogs that deliberately set out to take money and do nothing for it. I will agree that there are some out there that have gone down the wrong path and that is unfortunate for them and even more so the clients but to say that all agencies are bad is a statement that is unfounded and clearly misguided. Agencies are what makes great advertising and what makes clients hire us. We take that on and so many are successful or there would not be any of us around. I am so proud to be an agency and proud of every client that we service. I can go on an on here but you have said it so gracefully and powerfully that anything more would be taking away from the post which would be a shame. 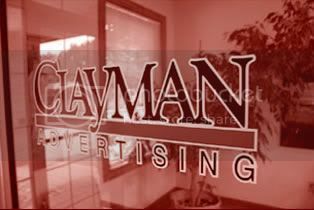 I tip my hat to you and everyone at Clayman’s as we do have to defend ourselves too often which is taking away from the real work.